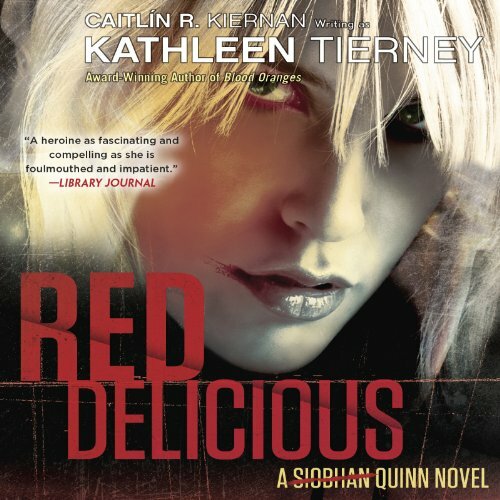 ©2014 Caitlin R. Kiernen (P)2013 Audible Inc.
Amber Benson narrates the second adventure of Quinn the vampire / werewolf of Providence with more confidence, a tight grip on her character's voice, a pleasing rhythm, and a slight monotony if one listens too long at a time. I would describe her Quinn voice as a combination of a cat's purr and a tiger's growl; perfect. She also does arrogant old demons and Gaelic trolls and obnoxious seagulls and snotty Goth girls well. I've attempted to get through this book for several days now, but, it doesn't make any sense. I can't for the life of me figure out what is going on and why. Maybe if I can make myself finish it will all become clear. Fingers crossed. spectacular book, bought the rest of the series to listen to because of it. to bad this was the second book in the series. hate listening out of order. but I'll survive.